Trying to get the basics? Check out our product Frequently Asked Questions. TaskAssure introduction. Watch this animated video to discover how TaskAssure can change our expectations when it comes to hiring services, similar to the way package tracking changed our expectations for shipping. Overview demonstration. 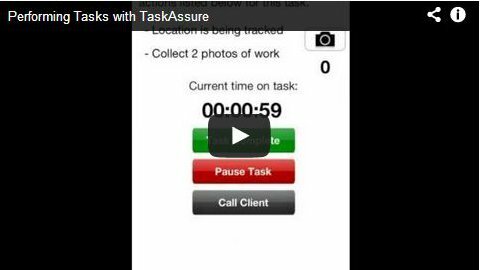 A complete example of TaskAssure showing use of website to create task verification assignments, monitoring of a task being performed by the assignee using the TaskAssure smartphone app, and showing the original task assigner receiving text message alerts. Getting started. Ready to start using TaskAssure? Learn how to create your account, and if you will be performing tasks, also learn how to install the TaskAssure smartphone app. Face training. If you are using the TaskAssure smartphone app to allow people to monitor your performance of tasks, then you will need to use the Face Training tool so that your identity can be verified by TaskAssure with facial recognition. This video shows how easy it is to complete face training. Creating tasks. 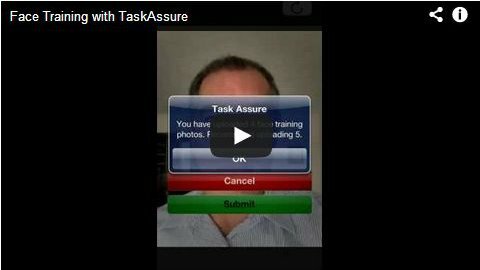 Watch while we show how easy it is to create a task verification session with TaskAssure from our website app "My Tasks". 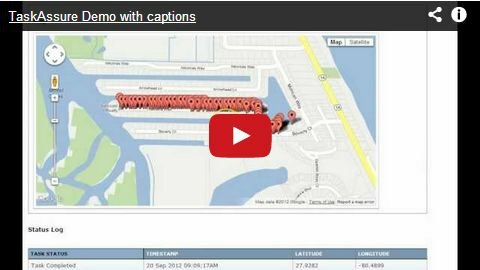 Learn how to define the right level of verification and notification to meet your situation. Performing tasks. We demonstrate the use of the TaskAssure smartphone app by a person while performing a task. See how easy it is to verify identity with facial recognition, and how TaskAssure won't interfere with your job, even while it keeps your client up to date. We'll be happy to answer your questions! 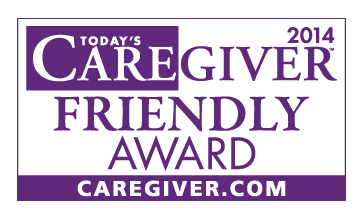 If you have an immediate question, please call 1-855-355-ASSURE (855-355-2778) and enter "1" for Sales, or "2" for Support. Or you can use our online contact form to send your question by email. We will respond within 24 hours. TaskAssure lets businesses easily add-on task verification to their processes and systems. We offer an API and Sample App for Beta users.